You know that feeling of excitement when you wake up in the morning and the day filled with possibilities stretches ahead of you? At Brunswick Forest, that could be your reality. Start your day, if you’d like, by meeting friends for a brisk walk through the neighborhoods and parks of Brunswick Forest, winding your way to the local coffee shop for a steaming latte and freshly baked scone. Not to worry; you’ll work it off later in a body toning or yoga class at the Fitness and Wellness Center. 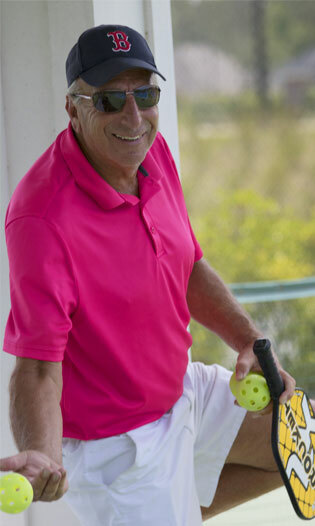 Hop on your bike, taking the scenic route through heavily wooded trails and beside the lake, to your tennis or Pickleball match, or join a new group at the driving range to warm up before playing 18 holes on Cape Fear National®, the Coastal South’s award-winning golf course right here in your backyard. Rather kayak or canoe in a neighborhood lake or take a fishing boat into the creek? That’s easily accomplished, as is a refreshing dip in one of three pools. Venture beyond Brunswick Forest proper and you could wander the cobblestone streets of historic downtown Wilmington, just minutes from your home. Spend the afternoon in and out of boutiques and antique shops, and the evening having dinner beside the river before seeing a play in a lovingly restored 1858 opera house. If you hear the call of the sea, you’re just 30 minutes from several area beaches, where surfing, sailing, and paddle-boarding are passions, and families spend the days building sandcastles and combing the shore for treasures. Life at Brunswick Forest naturally includes all of these options and so many more. An environmentally sensitive master-planned community carefully sited around lush woods, Brunswick Forest is a 4,500-acre retreat where a variety of charming neighborhoods and amazing amenities are connected by sidewalks and trails, making it easy for neighbors to connect to everything, and to each other. Resident clubs provide endless outlets to pursue activities and interests with like-minded neighbors. The Villages of Brunswick Forest, a commercial town center located just at the community’s entrance, makes life even easier for residents with immediate access to important services such as medical care, banking and a pharmacy, plus a host of shops, restaurants and offices. Come see what it’s like to live in a place that has it all.